Attend the PARENTING EMPOWERMENT Seminar on April 13, 2010 (Tuesday). Sign up NOW! Lifeline Foundation Support Team Inc's life coaches and foundation directors, Candace Schmidt and Jose Luis Gonzalez will be holding the Parenting Empowerment Seminar again on Tuesday night, April 13th at 7:30 pm. Our seminars began when we went to the different colleges and universities around Metro Manila to equip young people with the realities of what to expect in life and how to successfully navigate through different challenges. Since 2007 we took these seminars on Relationship Empowerment, Self-Empowerment, Career Empowerment and Parenting Empowerment to the BF Community and have received tremendous feedback as to how life-changing this empowerment has been. Calling all parents, parents-to be (it's NEVER too early), guidance counselors, mentors and anyone else who is actively involved in nurturing a child or children--this is for you. 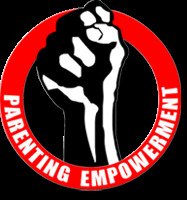 Become an empowered Parent! Seminar Fee: P350, inclusive of a drink and a BoNa Coffee muffin. Thanks for posting this! I will attend this one, continue posting other interesting events you might have there.